Ok so i am 3 day past AF and 16 dpo. My cycles have always been off. But staring last week i got very tired then Tuesday the day before my AF i get this wicked cold that i cant shake. I have heard people saying this is a symptom they experience in EP. So I have been peeing on a stick every morning and this morning i swear I see a faint line. Now all 3 tests are taken from the same urine cup, so i am concerned that its just in my head or a fluke, i am going to re test tomorrow morning, but would like a second opinion. 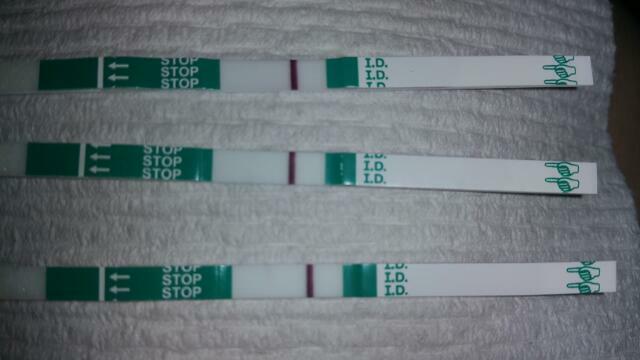 So am i crazy, is it impossible given the other 2 results from the same urine?